Soon To Be Seen On The Discovery Channel! Discovery is running out of hillbilly pawn shops to make idiotic 'reality TV' shows about so why not add this one to your layout and take a shot at stardom? 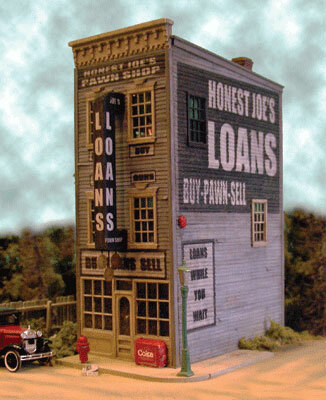 Copy this Honest Joe's Pawn & Loan to your MY ACCESSORIES roster.